The Inside Out Group, based in Nottingham city was founded in 1991 by Chief Executive, Anthony Hoffman. The group hosts three divisions – Inside Out Security Ltd, Inside Out Technical Security Limited and Inside Out Time Lapse Productions. The organisation is diverse in that it deals in all forms of security requirements and related technical solutions, but also ‘Time Lapse’ film productions; several of which have featured both on television and within presentations of major corporate organisations. Security Solutions – CCTV and Access Control Specialists, SIA Licensed Guards, Front of House Personnel and Facility Management Services and Consultancy. We offer high quality security services to a wide ranging client base who require top level surveillance and security provision. Our markets include – rail, highways, local authorities, education, manufacturing and production facilities, industrial and commercial sites. We provide our technical and security services to a range of clients in Nottingham, including Nottingham City Council and Nottingham County County. 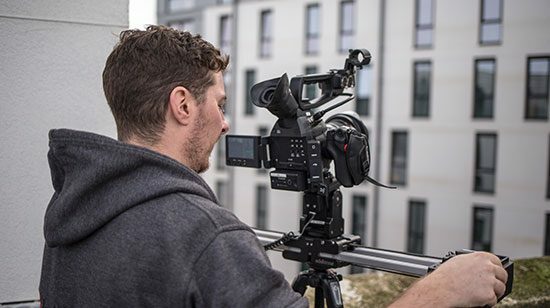 Time Lapse Productions – Short and Long Term Static Time Lapse Filming, On the Ground Filming Service, Editing and Post Production Services including film graphics, sound and audio and musical production. Creating bespoke film productions taking our clients marketing to a new level. Our filming services are based upon three main principles of Design, Capture and Inspire. Each filming project is bespoke and tailored to meet the individual needs of our clients. Our sectors of work include Construction, Rail, Civil Engineering, Demolition, Art and Nature, Conferences and Events. Our filming creations within Nottingham include a range of films on the NET Phase Two Project, BioCity Nottingham and Rolls Royce. Inside Out are a fabulous family-run company providing industry leading services. The team are very personable and are experts in their field. I would recommend Inside Out without hesitation and look forward to working with them in the future.